First recipe I have tried from my new “Simple” book by Yotam Ottolenghi. I was flicking through this morning and stumbled across this beauty knowing I had a few over ripe avocados in the fruit bowl ( they were going to end up as guacamole on fajitas for tea). Simple and delicious and I will probably add a bit of chilli next time. Put the butter, avodaco, half the lime zest, half the lime juice and a pinch of salt into a blender and whizz together until smooth. put in a bowl and add the half of the tarragon/cumin seeds. For the salsa, cut the cherry tomatoes into small chunks and mix with the chopped capers and the rest of the lime juice and zest, olive oil and a grind of black pepper. Grill the bread on both sides and then rub the cut garlic cloves across the top of each slice. 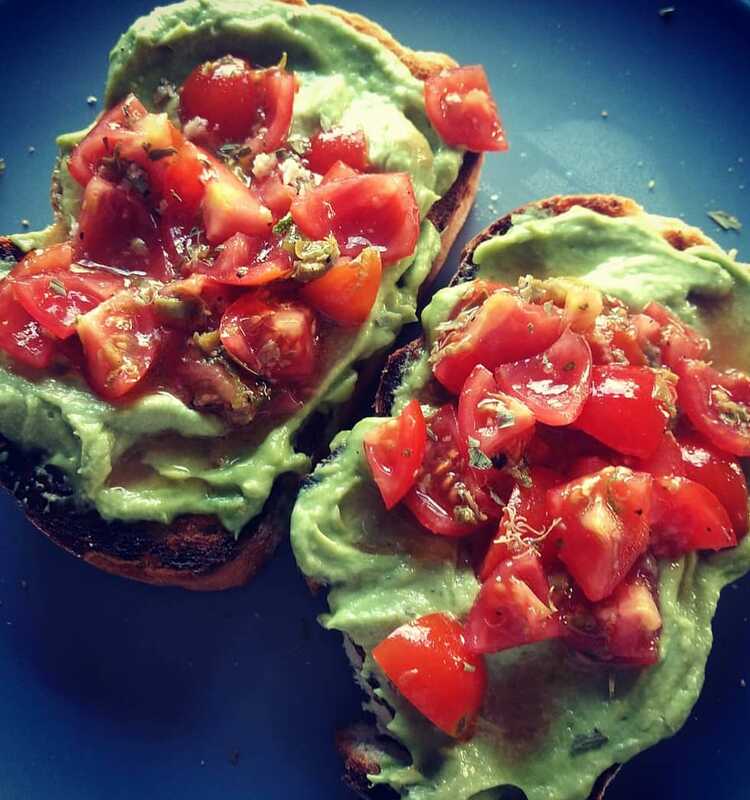 Spread with the avocado butter, top with salsa and then sprinkle the rest of the tarragon and cumin seeds on top and a grind of black pepper. If you wanted to take it a step further you could stick a poached egg on top!